In this essay, I take Susan Meiselas’s engagement in the problematic construction of Kurdistanas an example for discussion of the relational qualities of photographs when they are activated and considered discursive documents. Although the Kurdistan project is disseminated through three different formats book, Web site, and exhibition I will focus on the particular construction of the book Kurdistan: In the Shadow of History (Meiselas and Rosenberg 2008) and the Web site aka KURDISTAN. To explore the relationship between art and politics that is at the heart of this essay, I will use philosopher Jacques Rancière’s theory of the “distribution of the sensible” from his book The Politics of Aesthetics (2004) and his writings in The Emancipated Spectator (2009), which will help us to more usefully consider the production, dissemination, and reception of Meiselas’s herculean project. Through Meiselas’s complex and engaging work, we can discover a new, more useful way to think about photography in general and documentary practice in particular. Through Meiselas’s complex and engaging work, we can discover a new, more useful way to think about photography in general and documentary practice in particular. I am not seeking, as Roland Barthes did in Camera Lucida, the ontology of photography; nor am I am attempting to redefine the term “documentary photography.” I believe that the search for rigid definitions for a photographic discourse is politically unwise and philosophically doomed to failure. Photography has been in existence for long enough to have gone through a multitude of transformations, both technically and culturally, illustrating its endless mutability and utility. This paper is therefore a tentative statement of belief in the photograph’s potential to engender debate not about “how things are” but about “what is possible.” I am seeking not to understand what photography is but to construct a theoretical position on how photographs can be more effectively used. This may, at first glance, seem crazily optimistic or even damned by the label “utopian” in a cynical, self interested, and alienated society. However, to hold onto a belief in the possibility of a more egalitarian society is not about building a rigid belief system; on the contrary, it is about creating space to effectively challenge dogmatic thinking and established power relations. The most enduring dialectic regarding photography can be simplified into the opposition between the photograph as an objective record and its status as expressive image. The idea of the photograph as an objective – or, at least, trustworthy – document grew out of its astonishing degree of detail, which, in conjunction with the authority of the professional photographer, justified traditional documentary photography. The invention of photography as high art was grounded in the rhetoric of romanticism and symbolism, which sought to situate the photograph as an autonomous art object that acted as the expression of the privileged subjectivity of the glorified artist. Walter Benjamin sought to cut through these oppositions by foregrounding photography’s mechanical reproducibility as a means to transform how we encounter and think about art and its functions. Benjamin hoped that alongside the impossibility of a photographic original, photographs of art objects would expand art’s availability to the masses by “meeting them halfway,” inevitably leading to destruction of the bourgeois mystification of art. In the 1970s, it seemed that Benjamin’s prediction of mechanically reproducible art may have come true. The desire for photographic representation to become more reflexive by acknowledging its semantic contingency coincided with a rise in radical practices by artists who wanted to move away from the art discourse of the bourgeoisie by abandoning the modernists’ exclusive interrogation of the medium of art. However, this radical expansion of a politicized art discourse has not completely replaced an art discourse that mystifies the art object, which serves the art market. Rather, these alternative discourses constantly compete with each other, sometimes over the same artworks. Although the logic behind Benjamin’s use of photography to build a proletarian art was solid and his essay eloquently written, his reliance on photographic technology to transform the societal role of art was overly deterministic. The market in “antique photography” is bigger than ever, and the prices being paid for “original” prints by Cindy Sherman, Andreas Gursky, and other contemporary artists are reaching record levels. Even the digital image, which does not have an original physical trace, can command a hefty and foreboding price tag (due in large part to a prearranged rarity). This aptly illustrates that the discursive framework within which photographs operate helps to form our understanding of photographic imagery; in other words, the value of photographic imagery is built on a belief system. A forensic police photograph may be reconsidered for its formal qualities to become a beautiful object, if not an outright artwork (except, of course, for Arthur Fellig, aka Weegee, who supplies the desired authorship). Whereas it would be more difficult to transform our understanding of a photograph that is ostensibly art into an honest and accurate representation of reality, such a photograph can be understood as a product of a historical, sociological, and economic context. What such artworks make visible or invisible, if we pay them enough attention, shifts how we understand the world around us. There is space, therefore, to move beyond the dialectic of the photograph as record (document) and the photograph as expression (art). The rich history of early-twentieth-century radical art practices helps to frame an alternative discourse. From the Dadaists’ use of ephemeral mass media in their montages and Duchamp’s readymades to Beuys’s declaration “We are all artists,” there has been a concerted effort to create a more expansive understanding of artistic endeavour, to imbue art with political and social agency, and to destroy the false boundaries between art and the everyday. Sekula (2003, p. 43) insightfully identifies Meiselas’s self-effacing archival project on Kurdistan as one that not only challenges the worn-out standard procedures of photo-journalism, made worse by the increasing reliance on “embedded” professionals, but also illustrates Manny Farber’s distinction between “white elephant” and “termite” art – that is, between art that aspires to conditions of the masterpiece and art that couldn’t care less. Photographic technologies of capture, manipulation, and dissemination have become increasingly ubiquitous, operating within and across a plethora of different discourses, from eye-witness to events to community and individual constructions of identity. Photographic technologies of capture, manipulation, and dissemination have become increasingly ubiquitous, operating within and across a plethora of different discourses, from eye-witness to events to community and individual constructions of identity. Cameras have become increasingly and immediately available, to the point that many people have a “camera” now, even if they don’t have a camera, as our narcissistic tendencies have conflated digital cameras and mobile phones. Photographic images circulate around the globe at an unimaginable pace and in unquantifiable numbers, and, regardless of the insightful and timely critiques of representation that have dominated photographic discourse since the 1970s, the majority of these images circulate as visual documents. Although structuralist critiques have upset the myth of photographic objectivity, photography still has an evidential currency in the social order. In the view of Jacques Rancière, the social order (or as he terms it, ‘the police order) is a set of implicit rules and conventions that determine the distribution of roles in a given community and the forms of exclusion that operate within it. This order is founded on what Rancière calls the “distribution of the sensible.” He is referring to the way in which roles and modes of participation in a common social world are determined by establishing possible modes of perception. Thus the distribution of the sensible sets the divisions between what is visible and invisible, sayable and unsayable, audible and inaudible. According to Rancière, representation – and therefore aesthetics – is, by default, central to politics. The notion of a visual and aesthetic aspect to political debate is a founding rationale for the role of documentary or concerned photographic practice, which relies on the image’s supposed veracity. 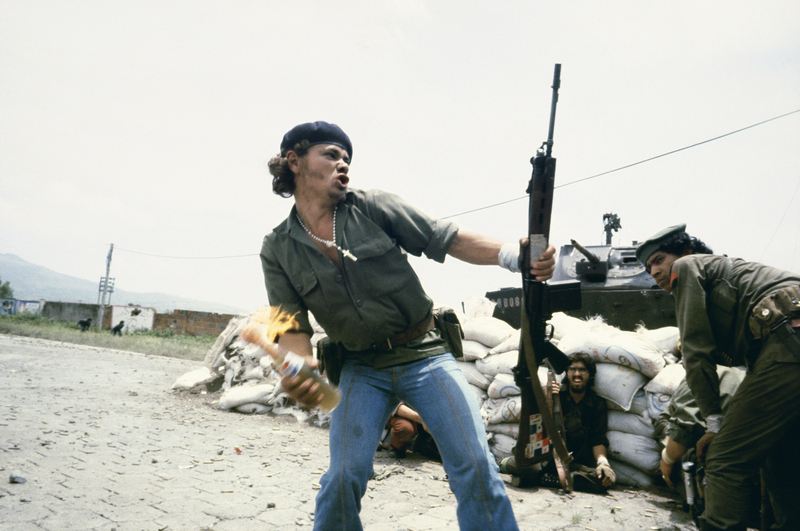 Meiselas’s career can be read as a series of examples of the transformations that documentary photography, has gone through over the past thirty years. 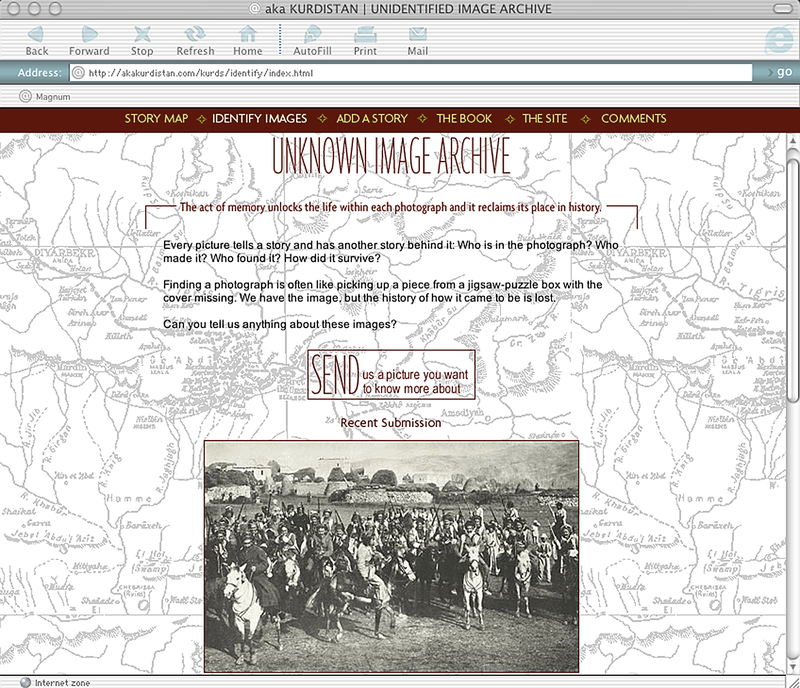 It is possible to trace how her projects have evolved and been transformed from the role of “bearing witness” photographically from within conflicts such as Nicaragua in the late 1970s (see figure 1) to the collection and construction of a living, growing archive of imagery and personal testimony for the nonexistent state of Kurdistan. Critiques of the politics of representation that questioned the assumed objectivity and authority of the photographic medium essentially accused documentary practice of creating a spectacle of suffering that reinforced the systems of oppression and inequality. One of the most articulate critiques of documentary practice came from Martha Rosler in her essay In Around and Afterthoughts on Documentary Photography (1992). In Rosler’s view, within a neo-liberal ideological climate of self-interest, traditional documentary loses its naïve claim to working for social reform and becomes a spectacle of suffering produced by careerist photographers. Rosler (1992, p. 309) writes, “Documentary testifies, finally, to the bravery and savvy of the photographer, who entered a situation of physical danger, social restrictedness, human decay, or combinations of these to save us the trouble.” For her, therefore, by calling for charity or sympathy, traditional liberal documentary preserves the oppressive structures of the status quo, while denying the underprivileged or oppressed a voice, and does just enough to pacify the potentially more revolutionary outcome of self-organization. Unfortunately, the challenges to the ideological framework that supports a documentary practice have resulted primarily in the discussion about photographic communication focusing almost exclusively on the ambiguity of photographic imagery. 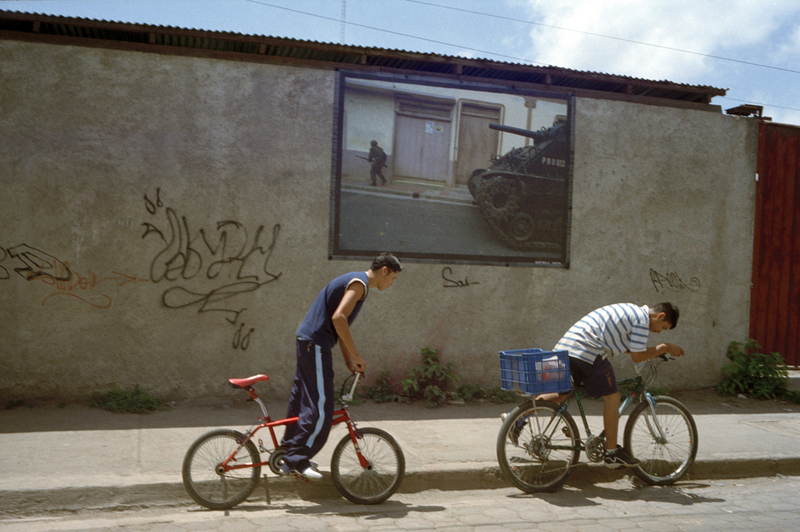 In an interview with Allan Sekula (2003, p. 40), the writer Benjamin Buchloh summarizes how this has impacted contemporary photographic practice: “With increasing intensity, the large-scale, color photographic image has been pictorialized to such a degree that it has effectively taken the place of painting. So the radical void created by conceptual art and by the inevitable demise of painting has now been massively filled with enlarged photographs, single image color prints, or single image transparencies.” In what can be seen as a reworking of Rosler’s critique of traditional photo-documentary careerism, the dominant discourse of the art market has forced artist photographers into an ”upwardly mobile competition for visibility, with reputation translating into career-capital.” (Sekula 2003, p. 41). The spectacle has remained but has been tamed into a manifestation of the author’s formal, visual sophistication. Rather than allowing photography’s proletarian qualities to undermine the aura of the art object, many contemporary photographers have made images that they try to invest with the mysterious aura of the autonomous “masterpiece.” This tendency, I believe, weakens the supposed role of documentary to effectively critique societal issues. Disappointingly, the authority of the professional photographer that helped to legitimize documentary has been replaced by the authority of the artist’s privileged subjectivity. For me, however, a more interesting and useful discussion is to be found by moving beyond such hierarchies, which have produced either a spectacle of suffering or a spectacle of artistic sophistication, to turn our attention to how these re-codable documents can operate in relation to the social contexts within which they are used and understood. Pantheon Books, New York, 1981. 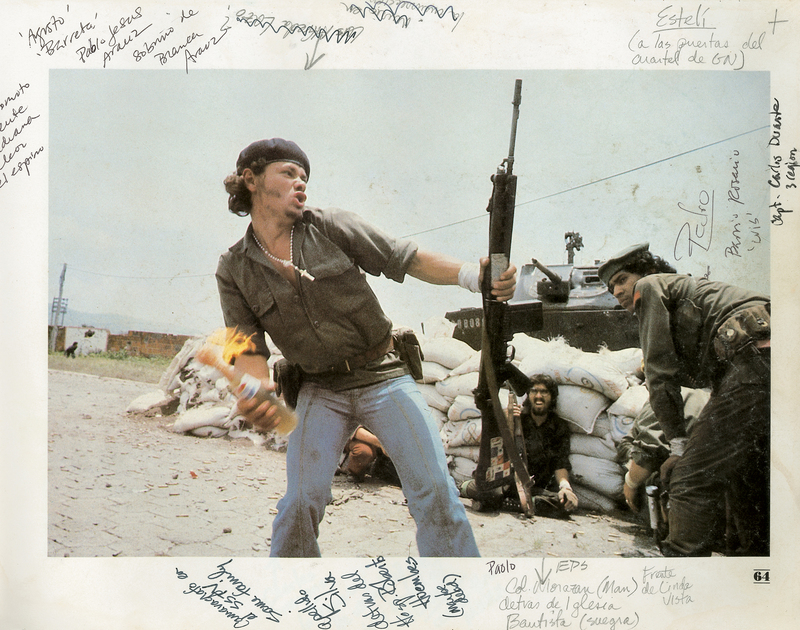 However, Meiselas also understands that this relationship is critically and effectively activated only when the artist/activist/author relates the image back to its historical contestation of meaning. Even in her earliest projects, she demonstrated sensitivity to her role as the photographer and was motivated to use the camera and the resulting photographs as means to explore the web of human relationships that helps to form our sense of place. In 1971, while still studying at Harvard, she used a 4 x 5 camera to document the individuals who lived alongside her in the Cambridge Boarding House at 44 Irving Street (the address became the title of the work). Meiselas returned the portraits to the people who had sat for them, which resulted in discussions around the divergence of the subjects’ self-image from their photographic portrait. Interestingly Meiselas’s self-portrait was a ghost-like image; she produced it using a long exposure time, which allowed her to leave the frame part way through the exposure. Her reasoning for this was that she felt like she belonged in 44 Irving Street but wasn’t sure how (Meiselas, 2009, p. 14). In my view, however, this illustrates that even at the beginning of her career, the photograph was not the goal for Meiselas. The value of this project was contained not within the photographic frame, but within the relationships that were engendered between her, the other occupants, and the boarding house that they shared. What was important – to me – was . . .
That the longest living dictatorship was defeated – by the people. That the history of Nicaragua was spliced with that of the U.S. and that I hadn’t been told that. That that victory was earned – right? – I mean that it had historical precedence and continuity. Somewhere in the face of that, journalism seems – what’s the word – not silly but in the face of that commitment journalism seems crass – cruel and superficial. I mean its like we pretend we know more than what we know. Well, connected with that is that I think making a revolution is more important than making a story about a revolution. But that’s not to say that I don’t think there’s a function for the photographer in the making of a revolution. . . .
To help us explore the sophistication of Meiselas’s use of photographs, I want to turn to the writing of the French philosopher Jacques Rancière, particularly in his book The Emancipated Spectator (2009). The critique of the spectacle, in Rancière’s (2009, p. 3) view, has its origins in Plato’s denunciation of the mimesis of theatre as a place where the spectator was “invited to see people suffering, as a spectacle of pathos . . . through the optical machinery that prepares the gaze for illusion and passivity.” What is required therefore, paradoxically, is a theatre without spectators, in which the audience members are not seduced by images as passive voyeurs, but become active participants in the process. As a means to move beyond this self-vanishing mediation of a theatre without spectators, Rancière uses the concept of intellectual emancipation that he first explored in his essay The Ignorant Schoolmaster (1981). According to a traditional pedagogical logic, the role of the schoolmaster is to abolish the distance between his knowledge and the ignorance of the student. This can be undertaken, however, only on condition that the distance is constantly maintained. As Rancière (2009, p. 8) states, “In the pedagogical logic, she (the student) is not simply one who does not as yet know what the schoolmaster knows. She is the one who does not know what she does not know or how to know it.” The first thing that the student learns is her own inability. The main activity of a pedagogical logic, therefore, is to constantly confirm its own presupposition: the inequality of intelligence. If we accept the supposed oppositions between viewing and knowing, appearance and reality, then we are already accepting a structure that maintains the two positions that can be described as those who possess capacity and those who do not (Rancière 2009, p. 13). Rancière calls for an intellectual emancipation that is based on the a priori logic of equality of intelligence; in effect, the schoolmaster must accept his own ignorance. The foundational premise of this emancipation is that intelligence is not a position to be held; instead, all that the schoolmaster can do is charge his students to venture out “into the forest of things and signs, to say what they have seen and what they think they have seen, to verify it and to have it verified,” an activity that Rancière (2009, p. 11) refers to as “the poetic labour of translation. Meiselas’s involvement in the Kurdish region began in 1991, when she travelled there on behalf of Human Rights Watch to document the unearthing of mass graves created during Saddam Hussein’s Anfal campaign against the Kurdish people of northern Iraq in the 1980s. She writes of her first impression, “In all my work in Latin America, in all my photographing of war, I never saw destruction that was so systematic and so complete. I was trying to be thorough while documenting the destroyed villages; the problem was there was so little left, sometimes there was nothing to photograph except piles of rubble. And no way to distinguish what had been there before” (Meiselas, Lubben, and International Center of Photography 2008, p. 241) Her anxiety about the lack of physical indicators of the Anfal campaign 2 highlighted her own ignorance of the Kurdish region and the historical struggle of the Kurdish people for self-determination. Her acknowledgment of her ignorance of the region, however, moved her to abandon her position as authoritative witness and instead focus on the important and subversive role that photographs played in “the forest of things and signs” within Kurdish culture, not only as memorial tokens of lost loved ones but also as a subversive affirmation of cultural autonomy (see figure 4). Meiselas (Meiselas, S., and M. van Bruinessen. 2008, p. xvi) writes in the introduction to the book, “What interested me was the intersection and interplay between those who shaped Kurdish life and the lives of the chroniclers who pictured them. The photographers and those photographed, the points of cultural exchange, how the various protagonists crossed one another’s paths.” The Kurdistan project went on to collect an eclectic mix of photographic imagery that ranges from nineteenth-century quasi-anthropological postcards through studio and snapshot family photographs, to police and journalistic images of the many and bloody conflicts in the struggle for Kurdish independence (see figure 5). These images are used in conjunction with a variety of other documents, such as official government records, news stories, and personal testimony. The splash page of akaKURDISTAN opens with this text: “This site, a borderless space, provides the opportunity to build a collective memory with a people who have no national archive.” This introduction distils the simple and aspirational function of Meiselas’s involvement with the region. In creating the various manifestations of this project, she has made a powerful tool to aid the political act of imagining the community of Kurdistan. 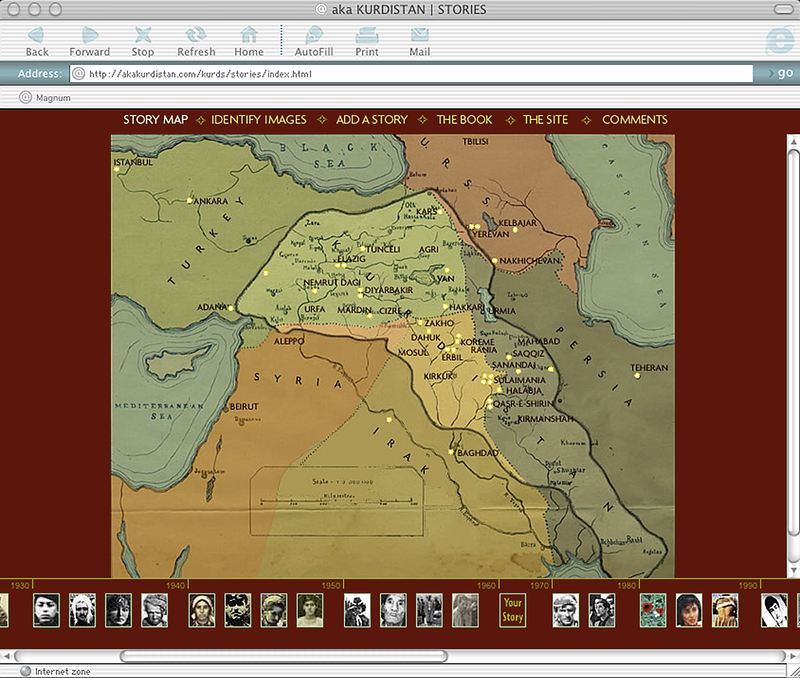 For example, much of the Web site is taken up with a chronological timeline that can be accessed at any point; on either side of the timeline is the image of a map that was presented at the San Francisco Conference by the Kurdish League Delegation on 30 March 1945 (see figure 6). Making this map visible, using this aesthetic manifestation of a political and cultural aspiration, aptly illustrates the antagonistic nature of this project, for, as we can see, the Kurdish territorial claims comprise an area straddling Iran, Iraq, Syria, Turkey, Armenia, and Azerbaijan. The images that she has collected for this project are recognized as incomplete utterances that depend on an external discursive framework for their cultural value. This old photo was in our archive. We never use it. Nobody ever asks for it. I don’t know where the original comes from and I don’t know how we got it. But, I will offer it to you if you can use it for your project. The purpose of this section of the Web site is obviously to secure an accurate account of the images’ content, to rescue the image from semantic oblivion, thus suggesting that a photograph is “dead” without an accurate caption. The various responses to the images are unedited, making visible the debates around what each image shows, which for me indicates that an image is alive not when its correct caption is secured, but within the contestation of its meaning. This contestation occurs not within the image itself but outside the frame, and is performed by those who encounter and engage with the image. A selection of just two responses to the content of this image illustrate its antagonistic existence, which Rancière refers to as its capacity for dissensus. The photographs that Meiselas uses do act as documents but are pulled into the story of Kurdistan. This is not a clear and definitive narrative, but a fractured and contested montage of personal memory, oppression, and political activism. It is a relational archive that acknowledges and encourages the contestation of meaning that shifts the distribution of the sensible, of what is sayable or unsayable, visible or invisible. Through an understanding of the historical relations generated through this material, Meiselas has created an archive of a nation that has not been permitted to exist . . . yet now seems at least possible. 1. This quotation is taken from Meiselas’s reflections on her work in Nicaragua, from the documentary Voyages, produced with director Marc Karlin in 1985. See the transcription of this project in Lubben (2008). 2. Sadam Hussein’s Al Anfal Campaign in the 1980’s sought to eradicate the Kurdish population in Northern Itaq, in which an estimated 100,000 Kurds were disappeared. The campaign infamously included the use of chemical weapons, in a poison gas attack that killed over 5000 inhabitants of the village of Halabja in 1988. Devlin, Liam. 2012. 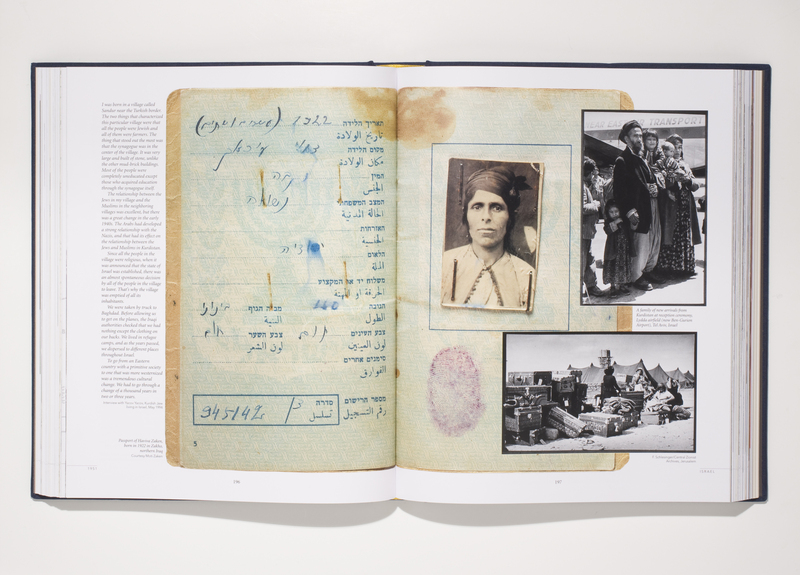 « Creating Kurdistan: The Role of Photographs as Discursive Documents ». Dans Imaginaires du présent: Photographie, politique et poétique de l'actualité. Cahier ReMix, n° 1 (mai 2012). Montréal : Figura, Centre de recherche sur le texte et l'imaginaire. En ligne sur le site de l’Observatoire de l’imaginaire contemporain. 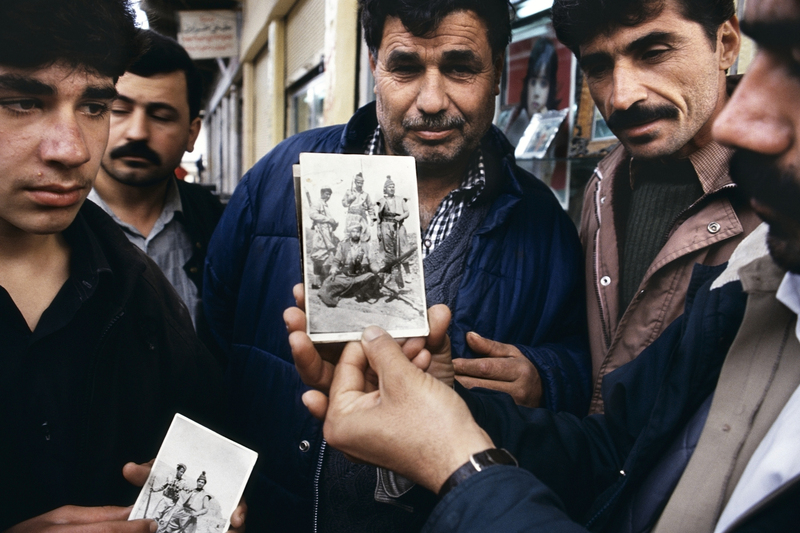 <http://oic.uqam.ca/fr/remix/creating-kurdistan-the-role-of-photographs-as-discursive-documents>. Consulté le 19 avril 2019. Meiselas, Susan. 1997. Kurdistan: In the Shadow of History. Meiselas, Susan. 2010. aka Kurdistan. Liam Devlin completed the MA in Documentary Photography in 2007. He then continued on to the PHD programme and is now in the final stages of completing his PHD at the University of Wales.